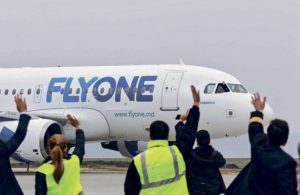 The Moldavian airline FLYONE offers a direct route from Paris CDG to Chisinau KIV. What an opportunity to discover this lovely little european country! Starting the 1st of February 2018, Airnautic will be their GSSA, in charge of transportation of cargo. Fleet : 3 Airbus A320, 1 airbus A319.